April Humble Monthly Bundle: Mafia 3, Deus Ex, God Eater 2 | Nerd Much? Another great PC gaming deal has been announced by Humble, as this month’s Humble Monthly Bundle contains some pretty intriguing titles you might have missed. For those unaware, Humble Monthly is the curated subscription bundle from Humble that gets you a select few games every month delivered to your inbox for just $12. The games are yours to keep forever, and you can cancel your subscription whenever you’d like. For the month of April, Humble has put together one of their better Humble Monthly Bundles we’ve seen so far, at least if we’re judging by the early unlocks you’re able to get instantly. 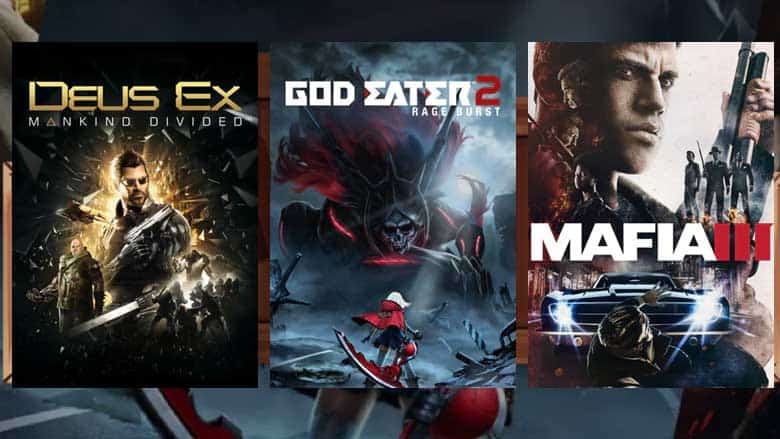 You’ll instantly get Deus Ex: Mankind Divided, GOD EATER 2: Rage Burst, and Mafia 3, plus the Mafia 3 Sign of the Times DLC. Those PC gamers interested in subscribing to Humble Monthly can do so here. As a subscriber, you’ll also get 10% off all of their regular bundles as well. Nerd Much, LLC may post products with links to our retail partners. When clicking these links and making a purchase, we may get a small percentage of the sale. Products are chosen by our editors, and we have no relationships with these retailers.